Wine dinners and frequent tastings are the cornerstones of expanding your palate at Mills. available on all wine, beer and spirit tastings. We pride ourselves in the quality of our large selection of $10 wines and in our great selection of boat and travel friendly products. Save time by calling ahead… we’ll meet you at your dock, home, or tailgate with your selections. Put together a mixed case from these racks for $96! Pat has worked in the wine industry for over 25 years. A syndicated wine writer since 1986, Pat has met with hundreds of winemakers and winery owners and tasted countless varieties of wines in producing his wine articles and reviews. In addition to his passion for wine, Pat is an avid traveler and has extensively explored Burgundy, Bordeaux, Tuscany, Umbria and California wine regions. Pat loves discussing wine and always has great recommendations for your special meal, gift or event! Jessica is a former U.S. Navy officer turned wine geek. She fell in love with wine on her first trip to France and Italy as a midshipman, but has been seriously studying wine for two years. 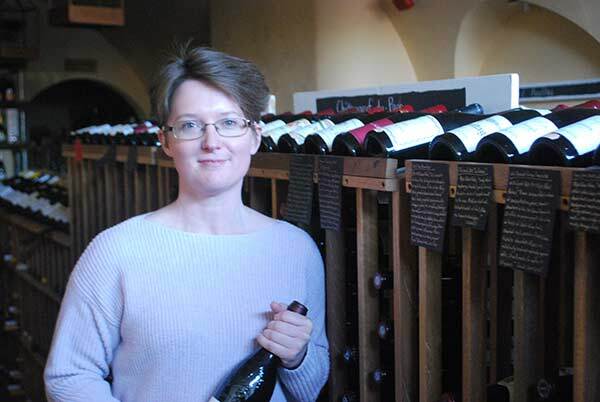 She received her Level 1 Sommelier certification from the Court of Master Sommeliers in February 2018 and continues to advance her knowledge. Jessica couples her passion for wine and whiskey with her love of Annapolis and its community. She loves working with customers to find just the right pairing!